If you work with foreign companies, they should enter into this confidentiality agreement so that confidential information is not disclosed to third parties. Please adapt the pattern to your circumstances. NAME, Address, eventual social security number. I, called contractor in the following, commit myself to the data secrecy according to the regulations of the new data protection basic regulation DSG VO (and the still valid DSG 2000 § 15) in the latest version. As a contractor, I also commit myself to the fulfillment of data protection and data security, regardless of whether they are legal obligations or company orders. I confirm that I have been named by the following client _____, to protect data secrecy and that I also observe any further provisions regarding confidentiality. My duty of confidentiality extends to everything that has become known to me in the exercise or opportunity of my professional activity, or will be known. It exists vis-à-vis anyone, including relatives in accordance with § 25 of the Federal Tax Code or other related persons and colleagues. (1) The confidentiality of the confidential information to third parties is of utmost importance to the parties, in particular that this confidential information is not passed on or utilized in any form. (1) The parties undertake to keep all information arising from the cooperation strictly confidential and to ensure that unauthorized third parties can not obtain knowledge of it. This obligation to maintain secrecy of the information obtained includes, in particular, the obligation not to use confidential information for competitive purposes. (2) Furthermore, the parties undertake that this confidential information will not be used in any way for their own purposes without the express prior consent of the other party. (3) The Parties undertake to disclose Confidential Information only to such employees, selected outside persons as lawyers, tax advisors and accountants, and other advisers and members of bodies who must have access for the purposes set out in the preamble. (4) The parties undertake to inform the other party immediately in the event of a legally binding disclosure of the information received, so that they can make the appropriate arrangements to ensure the greatest possible confidentiality of the information. (1) The confidentiality agreement will apply for the entire time of the discussions on possible cooperation and for the entire period of cooperation. (2) After termination of the discussions or cooperation, this agreement will be valid for another two years. For the beginning of the period, the later event is customary. (1) The contractual partners undertake to return all documents and information received from the other partner within the scope of the cooperation on request and to destroy or delete all copies made (including electronic copies on hard disks and other data carriers). (1) This confidentiality agreement is governed by Austrian law. 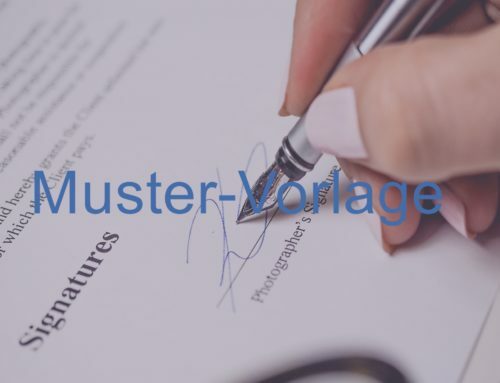 (2) For all disputes arising out of or in connection with this agreement, the contracting parties agree to the exclusive jurisdiction of the relevant court in Austria. (3) Any changes and / or additions to this confidentiality agreement must be made in writing.